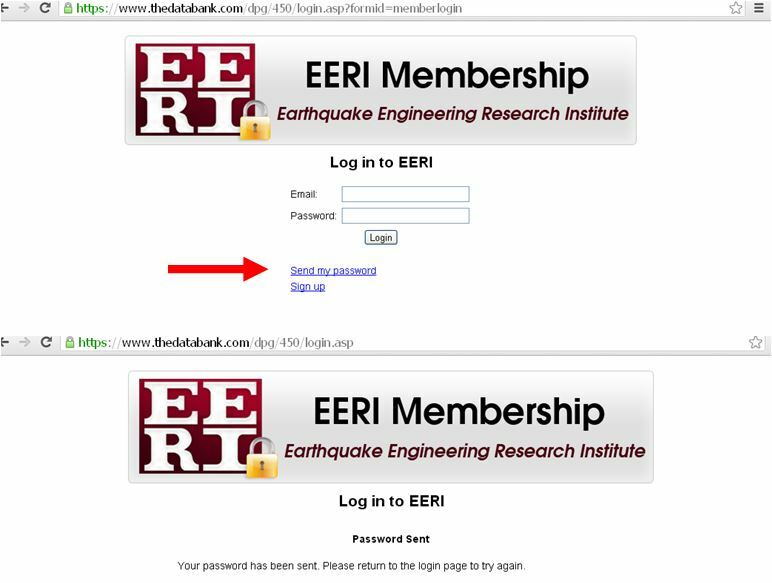 Earthquake Spectra login is separate from your EERI Login. Follow the steps below to login and view current and past Spectra issues! 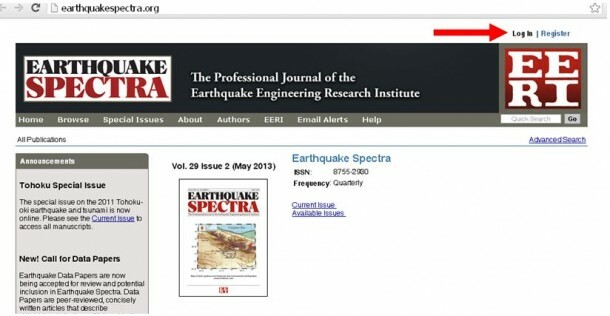 Step 1: On the Products and Publications drop down menu, select Earthquake Spectra Online -or- go to earthquakespectra.org Step 2: If you have already registered,* in the top right corner of the Earthquake Spectra homepage, select Log In *You must register for Spectra separately from the EERI Member Login. If you have not registered, see Step 4. Step 3: Enter your email and password. 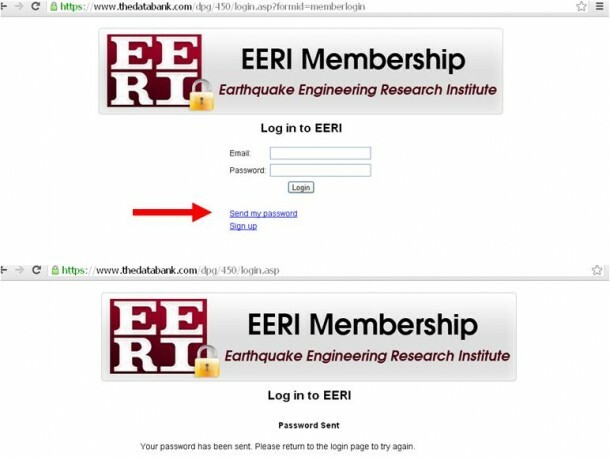 This is separate from your EERI member account. If you don’t remember your password, select Forgotten your password? and a new password will be sent to your registered email address. Step 4: If you have not registered, select “Register” in the top right hand corner. Fill out the New User Registration information to login to Spectra.